1958-1960 C1 Corvette Front Grille Assembly - Complete. Exact reproduction, made of original materials. Included: Grille bar, full set of 9 teeth, mounting studs, nuts, washers, & mounting brackets. Overall dimensions: 27.5" x 7.25"
Fits: 1958, 1959, 1960 C1 Corvettes. Log In To See Pricing 1958-1962 CORVETTE C1 4 PIECE OUTER GRILLE MOLDING SET. INCLUDES 4 OUTER, UPPER AND LOWER, LEFT AND RIGHT GRILLES. Log In To See Pricing 1958-1962 CORVETTE UPPER RIGHT OUTER GRILLE MOLDING - RIGHT HAND (PASSENGER'S) SIDE. GM PART # 3740210. Log In To See Pricing 1958-1962 CORVETTE UPPER LEFT OUTER GRILLE MOLDING - LEFT HAND (DRIVER'S) SIDE. GM PART # 3740209. Log In To See Pricing 1958-1962 CORVETTE LOWER RIGHT OUTER GRILLE MOLDING - RIGHT HAND (PASSENGER'S) SIDE. GM PART # 3740212. Log In To See Pricing 1958-1962 CORVETTE LOWER LEFT OUTER GRILLE MOLDING - LEFT HAND (DRIVER'S) SIDE. GM PART # 3740211. Log In To See Pricing 1958-1962 CORVETTE FRONT GRILLE UPPER CENTER MOLDING. GM PART # 3799991. Log In To See Pricing 1958-1962 CORVETTE FRONT GRILLE LOWER CENTER MOLDING. NOS GM PART # 3799993. Log In To See Pricing 1958-1962 CORVETTE GRILLE MOLDING MOLDING NUT & WASHER SET - 84 PIECES. Log In To See Pricing 1958-1962 C1 CORVETTE 6PC GRILL MOLDING SET WITH HARDWARE KIT. SEE SECOND PAGE. 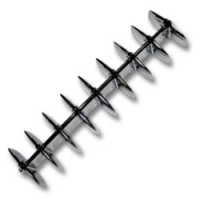 Log In To See Pricing 1958-60 C1 CORVETTE GRILLE TEETH WITH MOUNTING HARDWARE, MADE IN THE USA. Log In To See Pricing 1958-1960 C1 Corvette Front Grille Teeth Bar. Brand new exact reproduction grill bar. GM part # 3743622. Log In To See Pricing 1958-1960 CORVETTE GRILLE BAR END BRACKETS - PAIR. GM PART # 3743617.